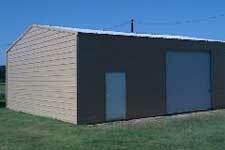 For metal buildings in Alabama and anywhere in the Southeastern USA, Waldrop Manufacturing is your source. 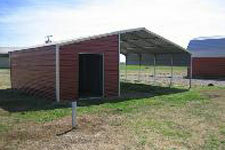 We supply everything from metal buildings to metal carports to steel livestock shelters to horse barns. Buy from the manufacturer! 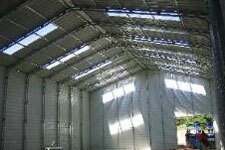 Our metal buildings can be gauranteed because you are buying from the same company that produces them. We are not some random roadside vendor! 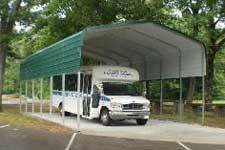 Not limited to Alabama, our metal buildings, barns, and carports are popular across the entire Southeastern U.S.A! 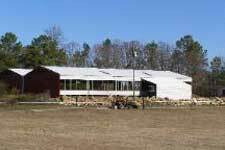 Waldrop Manufacturing provides a choice of high quality steel building kits for those who want to do it themselves or knowledgeable assistance with installation for those who want some help. So you can save money by doing it yourself or you can take advantage of installation by independent, expert crews who work with us. Everything we build is done at our manufacturing facility located in Alabma. 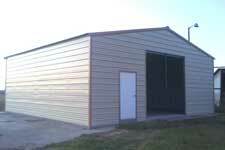 We build our metal buildings and carport kits with 100% US Steel, and 100% American labor. Most any of our steel buildings and steel carports can be installed by professional, independent crews that work with us or you can save money and do it yourself. We Have the BEST Metal Buildings in Alabama.